Moto G5 vs Moto G4: is it still the best budget phone? 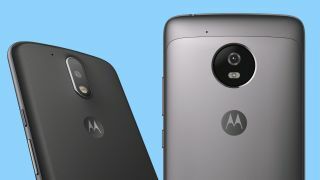 Motorola recently announced the Moto G5, a phone that is pushing its budget line to new, more premium heights. While not a total rethinking of the Moto G4, those looking for an upgrade will find a few features that have seen some refinement. However, not everything has changed for the better in Moto’s latest smartphone. Its chipset is a slight downgrade if we’re looking at Snapdragon iterations and battery capacity. If you have a Moto G4 and are looking for a total improvement in the G5, you may not find what you’re looking for. But, that’s a testament to the feature set and performance capability of last year’s phone. That said, those who haven’t taken the plunge for Moto’s affordable line will definitely find a lot to love here. We’re currently busy testing the G5 in-depth, but do check back soon for a full review. Check out our video from the MWC 2017 showfloor where we get down to the details to help you decide which phone fits your life better.